The fight against the expansion of aquaculture in Liverpool Bay intensified March 23 when an advocacy group against the proposed enlarged Kelly Cove Salmon Limited fish farms announced a new headquarters in Liverpool along with the establishment of a goFundme page to support their battle. The group, Protect Liverpool Bay (PBL) said it will open the doors to their new group headquarters at 279 Main Street Liverpool on March 26. 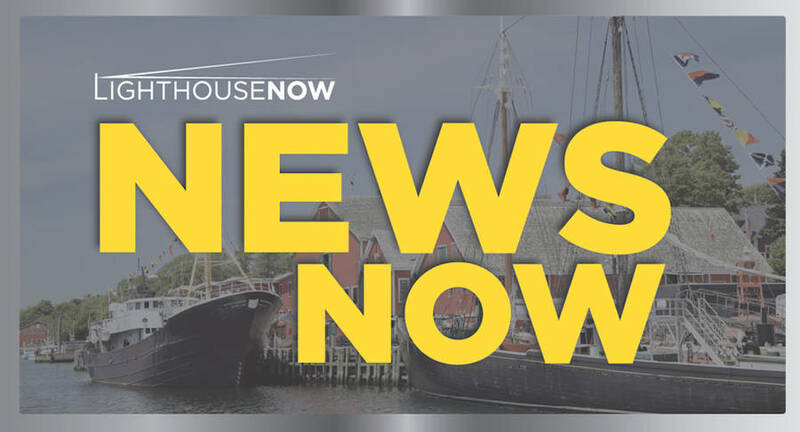 The headquarters is being set up in preparation for participation in a Nova Scotia Fisheries and Aquaculture (NSFA) Panel Review Process later this summer, according to a news release the group issued. Over at the group's goFundme page, PBL declares: "PLB is calling on the Nova Scotia Government to immediately withdraw the current 'Application for Exploration/Expansion' of Cooke Aquaculture Inc. in Liverpool Bay. We believe that marine-based fin-fish facilities cannot be sustainably operated in a marine environment and therefore demand a permanent moratorium on this kind of aquaculture and insist that all future finfish aquaculture sites be only closed containment, land-based facilities." At press time, the group has raised $1,000 of its $50,000 goal. Joel Richardson, vice-president of public relations with Cooke, told LighhouseNOW in an interview on March 13: "We've provided, what we believe, was a very thorough analysis of the Liverpool Bay area and the site locations that we've identified that seem to be well suited for additional salmon farming sites in the area." But Brian Muldoon, an area resident and founding member of PLB, contends: "Fishermen in other local bays forced to host salmon fish farms are seeing their lobster catches drop while coastal pollution increases. Land-based fish farms have shown to now be economically viable, so why does our current government and Cooke's Aquaculture continue to force these farms on communities who don't want them?" On March 22, CBC News posted a story saying "An eight-year study of lobsters living below a salmon farm off New Brunswick's Grand Manan Island found the aquaculture operation had no impact on the crustaceans' abundance, size or growth." The study was peer-reviewed and published in the Canadian Journal Fisheries and Aquatic Sciences. According to CBC, the Atlantic Canada Fish Farmers Association funded the study while the lead researcher was Jon Grant, who is funded by New Brunswick-based Cooke Seafoods and holds the NSERC-Cooke industrial research chair in sustainable aquaculture at Dalhousie University in Halifax. Asked after the fish kill if the incident would impact the company's expansion plans in the region, Richardson told LighthouseNOW: "It's part of doing fish farming and in terms of frequency, it may happen every five years or so that you would have some level of fish loss due to colder than normal temperatures in the ocean environment," he said. "The company is fully responsible for the fish loss. It is not something that we want to happen, but unfortunately it does." PLB says it represents 300 area residents and businesses opposed to the fish farm expansion. PLP plans to operate its headquarters from Tuesday to Saturday between 12 noon and 6 p.m. daily.